This post is brought to you by Camp Invention and The Motherhood. All opinions are my own. Summer is associated with a break from school for most children, but you don’t have to let that mean your kids aren’t continually learning. Our sponsor, Camp Invention, is dedicated to enriching children’s lives through fun filled STEM focused fun. This list of great summer ideas for continued education is just the beginning of what you can do to encourage your children to continue learning. Explore tide pools at the ocean. One of the best ways to get kids excited about learning more about sea life and how the tides work, is to get up early one morning and visit a tide pool. 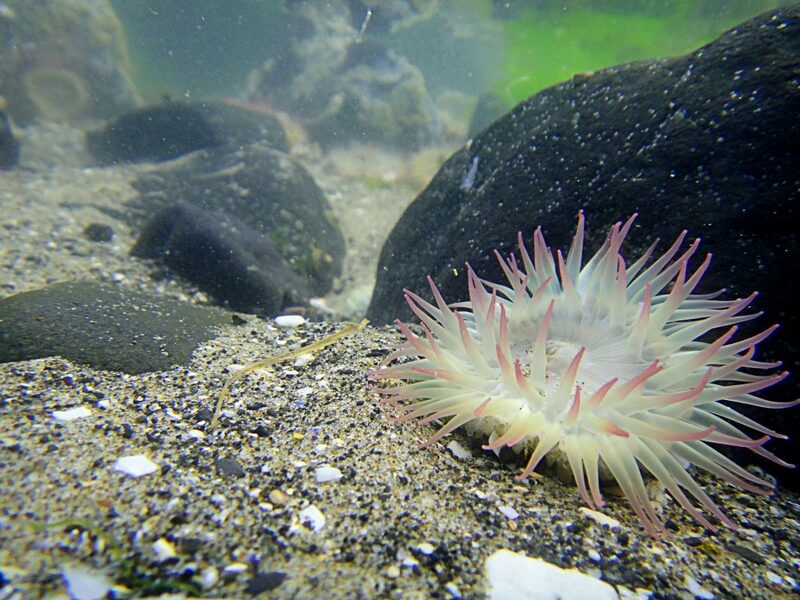 Oceanside tide pools have the most interesting creatures and finds for kids. Everything from crabs and fish to seashells can turn up in a tide pool. This is a great way for them to have fun in water, all while they are learning more about the way tides work to move water in and out of the shoreline each day. Along with that water comes various other sea life and items necessary for our ecosystem to work properly. Visit local interactive museums. Museums may sound boring to your kids, but most areas have at least one kids museum for them to learn while playing. An interactive kid focused science museum helps your kids learn while they are having fun playing. Natural education through play is a great way to keep them learning during the summer. Go on scavenger hunts. Keep your kids outside and focused looking for things in nature. A scavenger hunt around the yard can help them learn more about the world around them while keeping them both physically and intellectually active. This is great if you have a garden, or an area that might have unique leaves, flowers, insects, etc. for your kids to search for and learn about. Participate in library summer reading programs. There are tons of different companies online that offer free summer reading programs with rewards, but we find the local public library to be an easy to find location. Summer reading programs often challenge kids to read new things and then talk to their peers about them at meetings in the library. This is a fun way to challenge them, and there are often great rewards. Attend an educational summer camp. No longer does the term summer camp only mean a week of playing in the lake and bonfires. Now you can find tons of great options for your kids to go away for a day camp or week long summer camp through Camp Invention. This is the only nationally recognized summer program focused on creativity, innovation, real-world problem solving and invention. It’s a great way to encourage your kids pursuits while letting them also have a ton of the classic summer camp fun. This year, you can help encourage your kids to continue learning throughout their summer break. Right now, if you register your kids for Camp Invention you can receive a $25 refund on your registration. The first 20 people to forward their registration confirmation email, along with the name of my blog, to communication@invent.org will get a $25 refund. This is a great opportunity to make this even more affordable for your kids! To find a camp near you, visit the Camp Invention site.